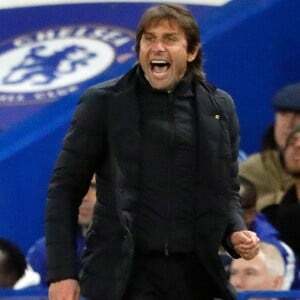 London - Chelsea manager Antonio Conte believes his side must win every game they play if they are to stand any chance of reeling in runaway Premier League leaders Manchester City. Champions Chelsea are nine points behind Pep Guardiola's City ahead of Saturday's trip to West Bromwich Albion, where Conte's men secured the title in May. "Manchester City are playing very well. If you want to try to catch them, you have to win every game," Conte told his pre-match press conference at Stamford Bridge on Friday. "If you want to try to fight for the title, it's very important to win and not to drop points." Conte raised eyebrows by omitting David Luiz from his squad for fourth-placed Chelsea's 1-0 win over Manchester United prior to the international break. "David Luiz is in the squad," Conte said. "When it's a technical decision, every single player has to react well and to accept my decision." "Christensen is showing himself to be an important player for us," said the Italian. "He's playing with great maturity." "He was very honest," Conte said. "The player was clear and intelligent. I don't understand why we always have to try (to find) a problem."